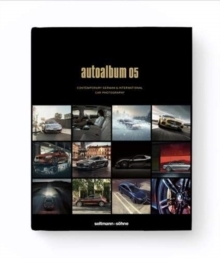 With autoalbum 05, the 22th book in the series of thematically organized photography yearbooks is now available. After eight years it is the first book, that we launch with a complete redesign. Cover, layout and typography show a new and modern touch. More than 100 of the best german and international trasportation photographers present themselves in the usual magnificent coffee-table format on 300 pages of high print quality. The series by seltmann+sohne offers large-format photobooks in a beautifully printed and bound coffee-table format, arranged by different areas of photography. The various albums are released semi-annually and are updated every 2-3 years.